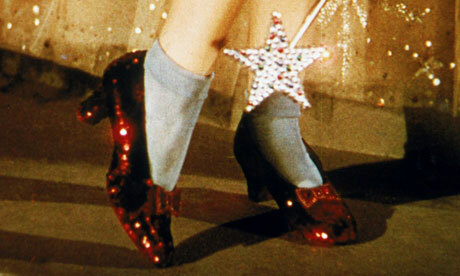 The Strength to be Happy and The Wisdom to Use Your Ruby Slippers. This is the part of your story when you slow down and get real. This is when you choose how you spend your energy. This is your opportunity to live on the other side of suffering. Under the same force, two people may respond contradictory. Are you a good witch or a bad witch? We have a choice to make each time we come up against struggle and strife. And, we have a new opportunity to respond in each new moment. When you start to tally up favorable, positive moments and feel them happening in succession, gather the strength to keep that momentum going. At the same time, remember your strength and use it if you revert back to old responses. Be forgiving of yourself and show loving kindness to your heart, but demand the strength you know you possess or no one else will. Because if you’re not feeling strong when you move around in the world then it’s time to get strong and stay that way. It’s time to stop making excuses and it’s time to be in control. Are you a hero or a victim? Are you a heavy or a light? Are you strong or…. It’s time to assess and conquer…. inside. I’m not talking about a strong body, I’m talking about a strong spirit and a clever soul. “Your vision will become clear only when you look into your heart. Who looks outside, dreams. Who looks inside, awakens.” -Carl Jung Being awake can take great strength, so wake up and smell the crossroad. Put on your big girl (or boy) pants and handle it. These inner battles are the struggles that we must process over time… silently, with great resolve and commitment. Cultivate discipline, access fortitude. Gather strength and enjoy solid valor. You have it, you just have to decide to access it. Like Dorothy and her ruby slippers or the lion and his courage…. “You’ve always had the power, my dear, but you had to learn it for yourself” -The Good Witch. Just decide you are strong and you are strong. I believe being happy takes great strength. I know that finding happiness will continue to take courage. I think that being happy and satisfied is nothing to hide or be ashamed of. There is no worthy prize for proving you are the one who suffers the most or has the hardest life. Complaining and bellyaching, sour moods and melancholy are the tools of the powerless. We should never forget or cease to respect how fragile we all are, but no one in the world is going to be as concerned about your moment-to-moment indulgent negative whimsy as you are yourself. And honestly, it’s usually the strongest spirits who experience the most suffering that seem to show the bravest and most unbroken fortitude. They are my heroes and the only ones I will look to for guidance. If you want to be in my thoughts then make them better, not worse.